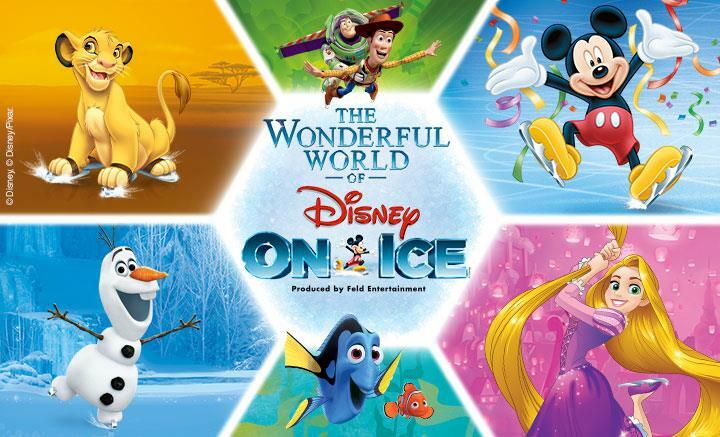 Enter a dazzling world of adventure at The Wonderful World of Disney On Ice at M&S Bank Arena Liverpool! Join Mickey Mouse and Minnie Mouse on an inspiring walk down memory lane in celebration of magic and family fun. Dory is back with friends Nemo and Marlin from Disney • Pixar’s Finding Dory. Embark on a new ocean adventure as they discover the real meaning of family. Travel to Arendelle with Anna, Elsa and the hilarious Olaf from Disney’s Frozen as they learn true love is the greatest power of all. Nothing is out of reach for Rapunzel as her friends help light the way. Snow White and the Seven Dwarfs make their own magic and reveal we can do ANYTHING with our friends in town. Buzz and Woody will have you jumping out of your seat in a foot-stomping throwdown; Simba, Timon and Pumbaa prowl the Pridelands; Jasmine, Aladdin and Genie show friendship is fearless; and your favourite Disney Princesses stay strong and journey on. Plus, learn the Mouse Bounce dance during the Fit to Dance pre-show. Make unforgettable memories as you explore The Wonderful World of Disney On Ice!